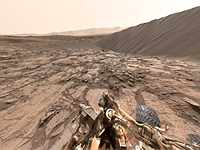 NASA's Curiosity rover captures a 360 panorama from its Vera Rubin Ridge 'Rock Hall' drill site before moving on to greener...er...redder pastures. 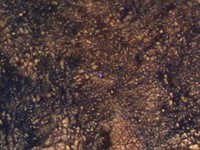 NASA's InSight lander has transmitted back the first photos it captured from the Martian surface using its 1-megapixel camera. 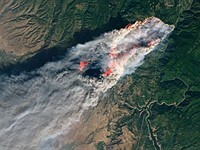 NASA has shared satellite imagery of the wildfire that's been confirmed as the deadliest in California history. 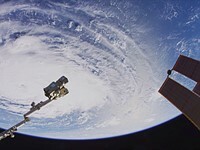 NASA has shared the first 8K footage filmed from outer space. In addition to streaming on YouTube, you can also download the full-res footage to your computer. 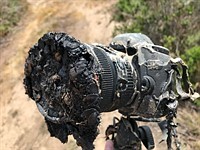 NASA explains that a grass fire caused by the GRACE-FO launch on May 22 was behind the damage to one of Bill Ingalls' remote cameras. You know that feeling when you're already all suited up and out on a spacewalk outside the International Space Station, and only then do you realize you forgot to put the SD card in your GoPro? No? Us either... but one astronaut on the ISS sure does. We know more about the surface of the moon and Mars combined than we do about our own ocean floor, which is why NASA Ames scientist Ved Chirayath is developing a camera that can 'remove' the water from our seas to reveal 3D images of what’s below the waves. 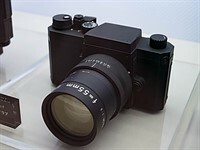 Nikon has a long history of making cameras for use in outer space. A small exhibition at this year's CP+ show in Yokohama showcases some of the company's most famous models. 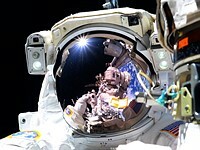 Just three days after returning to Earth, NASA astronaut Randy Bresnik hopped on a video chat with Jared Polin, who asked him all about what it's like taking pictures in space. The resulting interview is fascinating from the first question to the last. 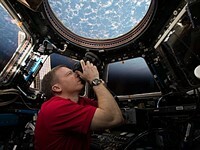 NASA astronauts aboard the International Space Station will get some new camera gear to play with this week. 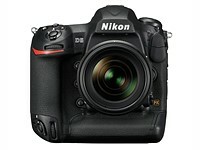 The first ten Nikon D5 DSLRs to go to space launched yesterday, and are due to arrive at the ISS on Tuesday. 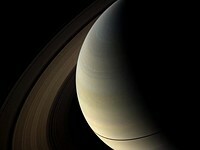 Earlier today, NASA's Cassini spacecraft plunged into Saturn's atmosphere, ending a 20 year long mission. 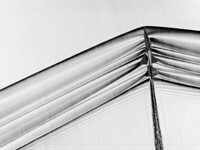 Here are 21 of our favorite photographs captured by this incredible machine and its makers. 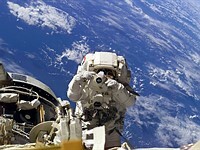 NASA has a long-standing relationship with Nikon, and it's not going anywhere. 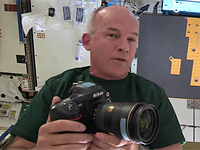 The space agency just spent over $340K on 53 Nikon D5 cameras for the International Space Station and training purposes. 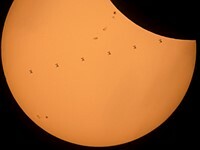 NASA photo editor Joel Kowsky didn't just capture the solar eclipse from his vantage point in Wyoming, he also managed to capture the ISS buzzing across what remained of the sun. 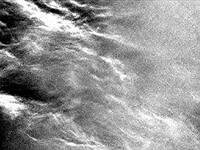 On July 17th, NASA's Mars Curiosity Rover pointed its Navcam up at the sky to capture a rare sight: wispy, cirrus-like clouds floating across the Martian horizon. 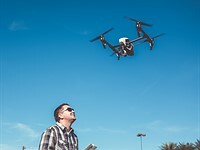 A NASA study has confirmed what your ears have been telling you: people HATE drone noise. In fact, it was ranked more annoying than that of "any ground vehicle." 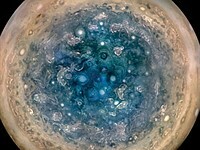 NASA's Juno spacecraft recently captured the its closest photos yet of the so-called 'Great Red Spot': the planet's massive storm that's been raging for the past 350 years in the planet's southern hemisphere. 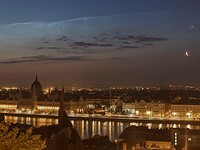 Noctilucent clouds, a crescent moon and Venus were visible in the pre-dawn sky over Budapest yesterday. Photographer György Soponyai captured NASA's astronomy picture of the day. 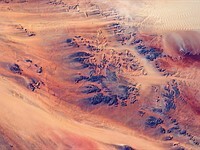 NASA's Mars Reconnaissance Orbiter captured this gorgeous aerial photo of the Martian landscape. 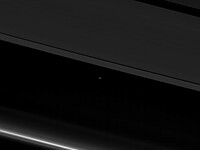 And if you look really close, you can actually see the Mars Curiosity rover in the very middle. 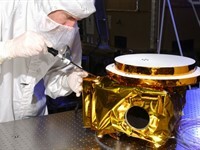 NASA's appropriately-named Aqua satellite is orbiting the earth at an altitude of 438 miles. And of course there's a camera onboard. F8 and be there indeed. 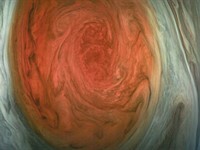 NASA's Juno probe has been sending back images of Jupiter, and mathematician Gerald Eichstaedt has turned them into a video, simulating a Jovian flyby. 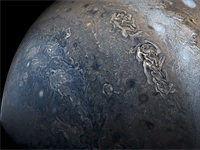 NASA's Juno spacecraft is sending back its first images from Jovean orbit, and they're beautiful. 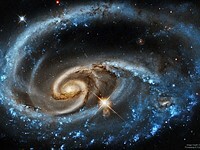 UGC 1810 is a 'Wildly Interacting Galaxy', locked in battle with a smaller galactic neighbor, roughly 300 million light years away. It's expected to devour its challenger some time in the next billion years. The Cassini spacecraft's Grand Finale is a gold mine for space and photo nerds, and now, NASA's stepped it up with a pretty slick animation. 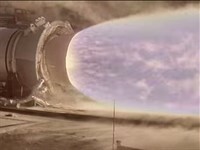 How do you get the crew compartment of a spacecraft down to 880 pounds? By shaving away the other 11,120 pounds, of course. 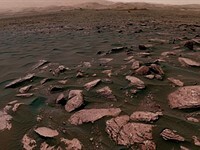 Earlier this year, NASA released a 360-degree image from the perspective of the Curiosity Mars Rover. 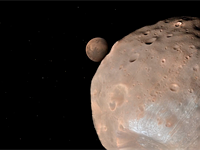 We invite you to join us - on the surface of Mars! 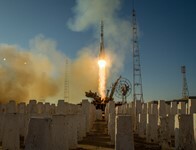 NASA sent three Nexus Ones into orbit to see if the phone cameras could match the image quality of current satellites. 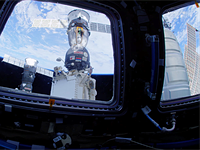 Austrian photography enthusiast Christopher Malin has produced a short film featuring time-lapse photography taken by astronauts aboard the International Space Station. 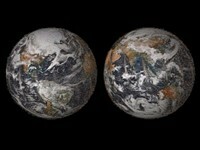 Captured with several Nikon D3S cameras, these sequences make for a unique and compelling view of the Earth and its surrounding environment. 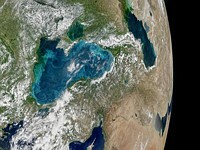 The film also includes a first hand account of the considerable challenges of photographing from space. While we're stuck down here on earth, NASA's Curiosity rover is currently trundling around on the surface of Mars, mapping the terrain and analyzing rocks. This week, Curiosity took time out from its busy schedule to snap an arms-length self-portrait, showing the rover in situ, in Gale Crater - 140 million miles from home. 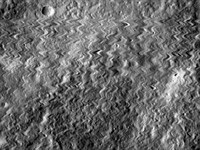 The composite image is made up of 55 high-resolution images, taken using its MAHLI camera, which is mounted on the end of a robotic arm. 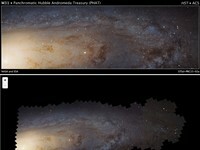 Click through for more details and a link to the full-resolution image. 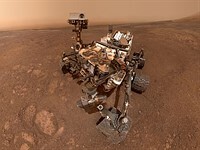 A number of factors led to the use of 2MP sensors in the main imaging cameras used on NASA's Mars rover, Curiosity, says the project manager responsible for their development. 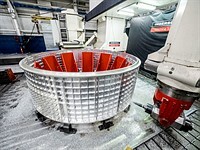 The slow data rates available for broadcasting images back to Earth and the team's familiarity with that family of sensors played a part, says Malin Space Science Systems' Mike Ravine, but the biggest factor was the specifications being fixed as far back as 2004. Multi-shot panoramas will see the cameras deliver high-res images, he explains, but not the 3D movies Hollywood director James Cameron had wanted. NASA's Curiosity rover vehicle, that landed on Mars on August 6th, has sent back its first color images of the planet's dusty yellow/orange landscape. 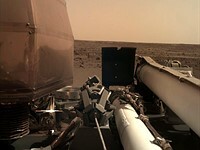 The image was taken with the camera on the rover's still retracted robotic arm, from behind the dust shield designed to protect the camera. 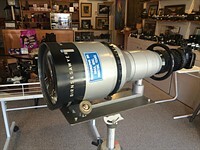 The dust shield will be removed, promising better images, once the dust kicked-up by its landing has settled. 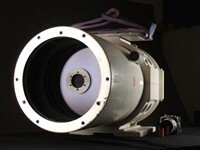 This camera, known as MAHLI (Mars Hand Lens Imager), is primarily intended for examining close-up items. 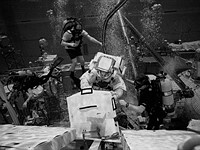 Still better images should come once the two Mastcams start sending back images. 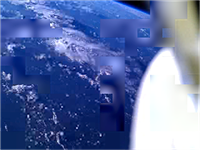 German videographer Michael König has compiled a breathtaking HD video from footage shot from the International Space Station. 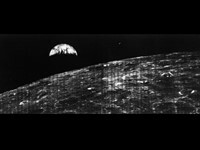 The original video clips, that König has processed and set to music, were created from a series of time-lapse stills of the Earth at night and include footage of Aurora Borealis and Australis. Viewing the original still images on NASA's 'The Gateway to Astronaut Photography of Earth' website reveals they were shot with a Nikon D3S with 17-35mm F2.8 and 14-24mm F2.8 lenses (via Daily Mail). 46 Do you consider Photography to be a cheap hobby? 34 Who does black & white landscapes these days? ?